In 2014, we checked out z88dk Programming Setup + Sample to build 3D City for the Sega Master System. While this worked on Fusion + Meka emulators unfortunately 3D City encountered graphics glitches on real hardware. In 2017 we checked out devkitSMS Programming Setup + Sample to build CandyKid Demo for the SMS also. As this demo worked on Emulicious emulator with VDP constraints enabled CandyKid Demo now ran on real hardware. 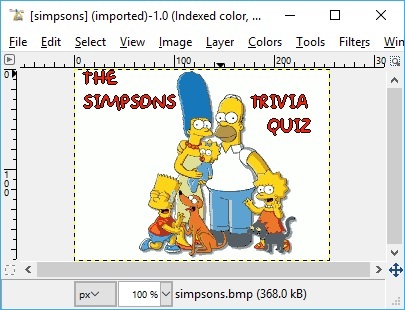 Building upon knowledge + experience shared by the SMS Power community, plus gaining access to source code, we have now streamlined the SMS development process to build Simpsons Trivia using the devkitSMS. The devkitSMS requires certain utilities to work such as ihx2sms, assets2banks and/or folder2c. Plus, it is common to use utilities like BMP2Tile for graphics, VGM2PSG for sound, assemblers like WLA-DX etc. etc. Previous work on SMS graphics simply used basic tools like MS Paint to save sprite and tile data in 16 Color Bitmap format to conform to the 4bpp (bits per pixel) constraints. However, graphics here were very simple! 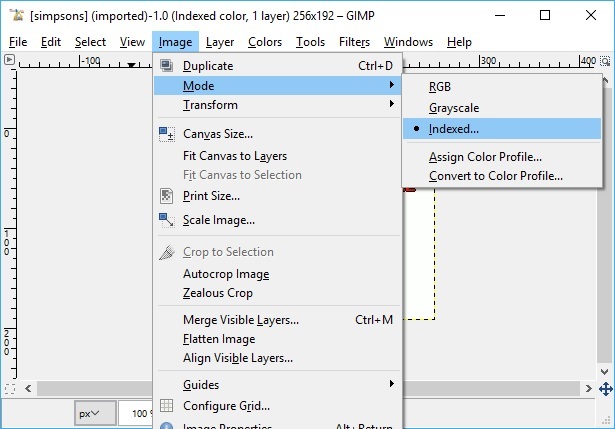 Previous work using BMP2Tile was a very manual process: Launch BMP2Tile | drag n' drop the 4bpp image into BMP2Tile and manually configure options and save out the Tiles, Tilemap and Palette files one by one. After inspecting the source code for Astro Force, we see that eruiz00 automates this process using batch scripts. 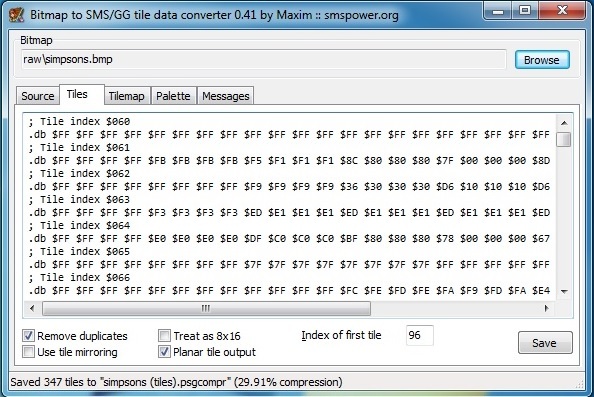 Let's replicate this process to produce Tiles, Tilemap and Palette files for simpsons.bmp [above]. 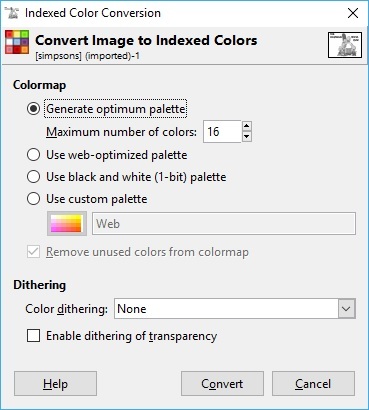 Tiles Tilemap Palette IMPORTANT: for multiple images loaded and rendered at the same time ensure the palette file is the same! Finally, see here for a complete list of all Command line mode arguments that can be used with BMP2Tile. 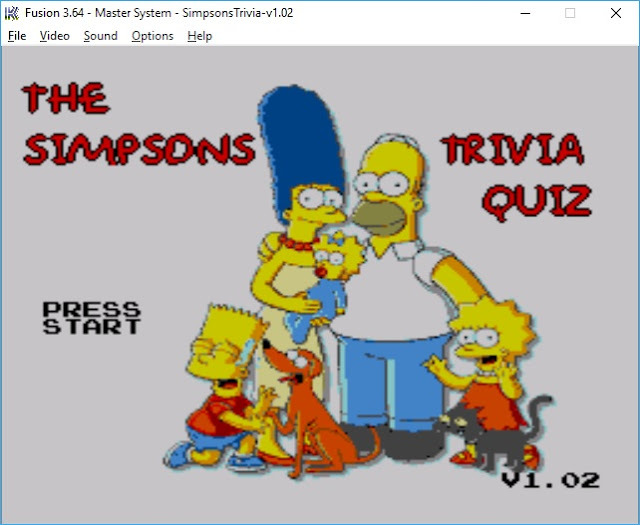 Simpsons Trivia is 128KB in size thus uses ROM banking to allow for more that 48KB in the game ROM. Again Astro, Force gives a real world example on how bank switching can be achieved for more content. Game development is renown for using the State design pattern. 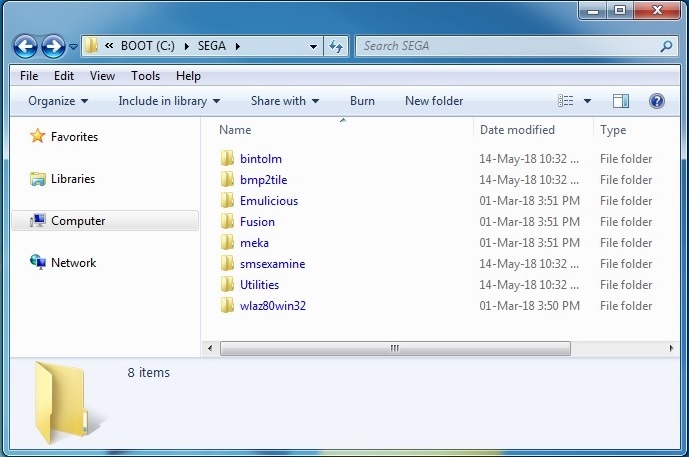 Therefore, previous SMS titles like 3D City or CandyKid demo have a main loop that switches load and update methods depending on the current state. Consequently, this solution does not scale! Instead, opt for an array of function pointers: for each state add to an array of load and update function pointers; the main loop invokes the correct function based on state. In the past, Fusion emulator was used during development especially to test code changes quickly. However, more developers prefer Emulicious as this has an option to Emulate VDP constraints for real SMS hardware. Finally, Ctrl+1 in Visual Studio 2008 will now launch in Emulicious with debug step through Z80 assembler! To summarize, the SMS Power community has been awesome and by members sharing especially their code, for example like Astro Force then this really does help develop ideas for new projects like Simpsons Trivia. Recently, eruiz00 has shared the source code for Galactic Revenge. This game uses an up-to-date version of z88dk with devkitSMS [instead of sdcc] as the libraries are optimized in ASM + produce smaller object code. Therefore, 3D City and future games could be written using z88dk with devkitSMS without graphics glitches!